Patty Duke, star of TV, stage, and film, died Tuesday morning from complications caused by a ruptured intestine. She was 69 years old. Born on December 14, 1946, Anna Marie Duke endured a rough childhood before finding some stability in the home of her managers, John and Ethel Ross, who also gave her the stage name of “Patty Duke.” The Rosses weren’t much better caretakers than her parents, though, and promoted a much more extensive career for Duke than she’d actually established by the age of eight, something she’d later allude to in her autobiography. Duke first appeared in small roles on daytime soaps before taking on multiple parts in The United States Steel Hour, an anthology series that adapted the works of Eugene O’Neill and Tennessee Williams, among others, for television. Then in 1962, Duke landed a starring role opposite Anne Bancroft in the Broadway play, The Miracle Worker. Duke’s impressive portrayal of a young Helen Keller propelled the show’s run through two years on the Great White Way. The successful play was adapted for the 1962 film of the same title, in which Duke and Bancroft reprised their roles. Duke took home a Best Supporting Actress Oscar for her work; at the time, she was the youngest person to have ever won an Oscar in a competitive category. That star-making turn led to the creation of Duke’s very own TV show, The Patty Duke Show. The ABC sitcom, which ran from September 1963 to April 1966, starred Duke as Patty and Cathy Lane, cousins who are the daughters of identical twins. Despite their uncanny resemblance, the girls were complete opposites: Patty was a gregarious tomboy, while Cathy was a brainy introvert. The series featured notable guest stars like Sammy Davis Jr., Frank Sinatra Jr., James Brolin, and Jean Stapleton. Duke received an Emmy nomination (the first of many) for her dual roles. After the show was canceled, Duke tried to shake off the squeaky-clean teen image by joining a film adaptation of Jacqueline Susann’s Valley Of The Dolls. The Mark Robson film starred Barbara Parkins, Sharon Tate, Susan Hayward, and Duke as fallen women; Duke played Neely, a rising star who bumps heads with Broadway legend Helen Lawson (Hayward), only to model Helen’s diva (and addictive) behavior once she achieves success. The over-the-top film wasn’t met with much praise when it premiered in 1967, but it’s garnered a cult following in the years since. Duke followed up Valley Of The Dolls with a starring role in Me, Natalie opposite a young Al Pacino, picking up a Golden Globe for her work in the otherwise unsuccessful film. She returned to television for My Sweet Charlie, for which she won an Emmy. In 1982, Duke was diagnosed with bipolar disorder, which galvanized her work as a mental health advocate with the National Institute Of Mental Health and the National Alliance On Mental Illness. But she continued to take on TV and film roles, starring in the 1979 stage revival of The Miracle Worker as well as The Patty Duke Show: Still Rockin’ In Brooklyn Heights TV movie in 1999. In addition to her acting and directing work, Duke also enjoyed a successful music career. The multi-hyphenate performer scored hits with “Don’t Just Stand There” and “Say Something Funny,” as well as “Dona Dona,” which she performed on The Ed Sullivan Show. Duke released six LPs during her lifetime. Here she is on the Shindig! variety show, which was hosted by Jimmy O’Neill. Duke authored two autobiographical works and was awarded a star on the Hollywood Walk Of Fame in 2004. 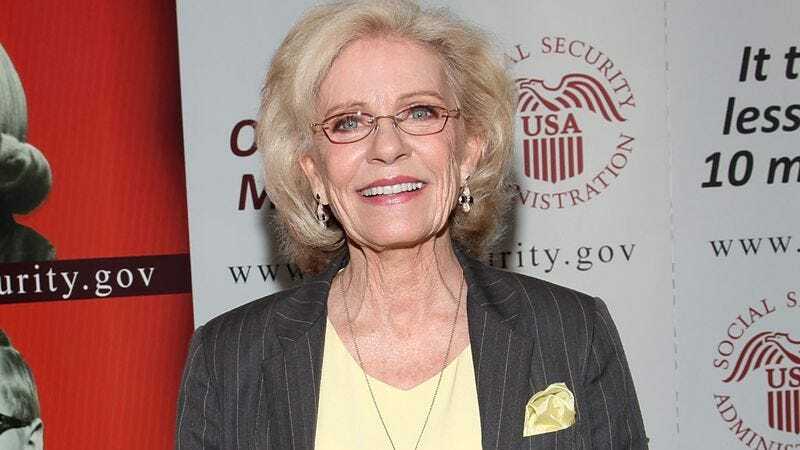 In recent years, Duke reprised the roles of Patty and Cathy Lane for a series of Social Security Administration public-service announcement; she was later teamed up with George Takei for a similar campaign. She is survived by her husband, Michael Pearce, and her sons, actors Mackenzie Astin and Sean Astin.